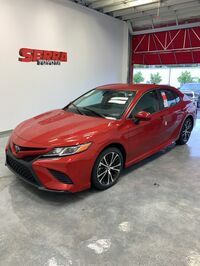 The 2019 Toyota lineup has no shortage of crossover and SUV models for drivers looking for more space and versatility than a sedan or hatchback can provide. With seating capacities ranging from five passengers to eight, the 2019 Toyota crossover and SUV lineup has something to accommodate all needs from single passengers to a large family and anything in between. 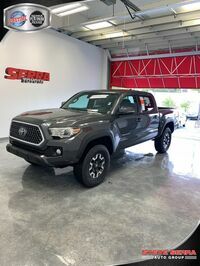 Learn more about the 2019 Toyota C-HR, 2019 Toyota RAV4, 2019 Toyota Highlander, 2019 Toyota 4Runner, 2019 Toyota Sequoia, and 2019 Toyota Land Cruiser lineups below including their starting price tags. 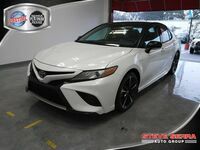 Then, visit the Serra Toyota dealership at 1300 Center Point Parkway in Birmingham, AL to see each model in person. If you aren’t sure which Toyota crossover or SUV is the best fit for your needs, our team can talk with you one-on-one about your wish list and budget and make some suggestions. 2019 Toyota C-HR – Starting at $20,945, the 2019 Toyota C-HR is the smallest Toyota crossover in the lineup and perfect for drivers who want something uniquely stylish and filled with connectivity. 2019 Toyota RAV4 - Starting at $25,500, the midsize 2019 Toyota RAV4 is easily the best-selling crossover in the Toyota lineup thanks to its versatile cabin, practical price tag, and adventurous spirit. 2019 Toyota Highlander - Starting at $31,330, the 2019 Toyota Highlander SUV seats up to eight passengers and offers available rear-seat entertainment making it a great choice for family hauling. 2019 Toyota 4Runner - Starting at $34,910, the 2019 Toyota 4Runner seats up to seven passengers and specializes in off-road adventures that take you far away from smooth pavement. 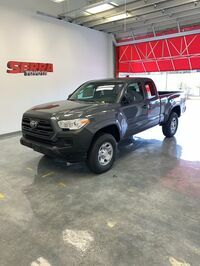 2019 Toyota Sequoia - Starting at $48,700, the 2019 Toyota Sequoia seats up to eight passengers and offers a max towing capacity of up to 7,400 pounds when properly equipment making it perfect for family travel. 2019 Toyota Land Cruiser - Starting at $84,765, the 2019 Toyota Land Cruiser is easily the most expensive SUV in the lineup and offers premium performance and high-end interior finishes.